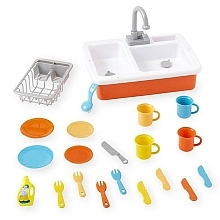 Not only does it look and feel like a real Sink, it has running water just like a real Kitchen Sink. 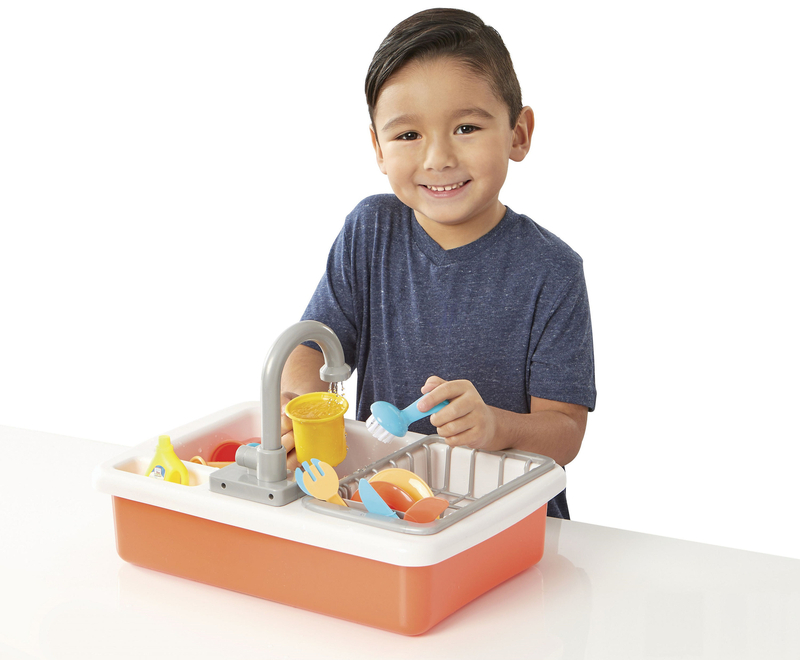 Pump the pretend dish soap and use the brush to scrub and clean the dishes, then put them in the drying rack. 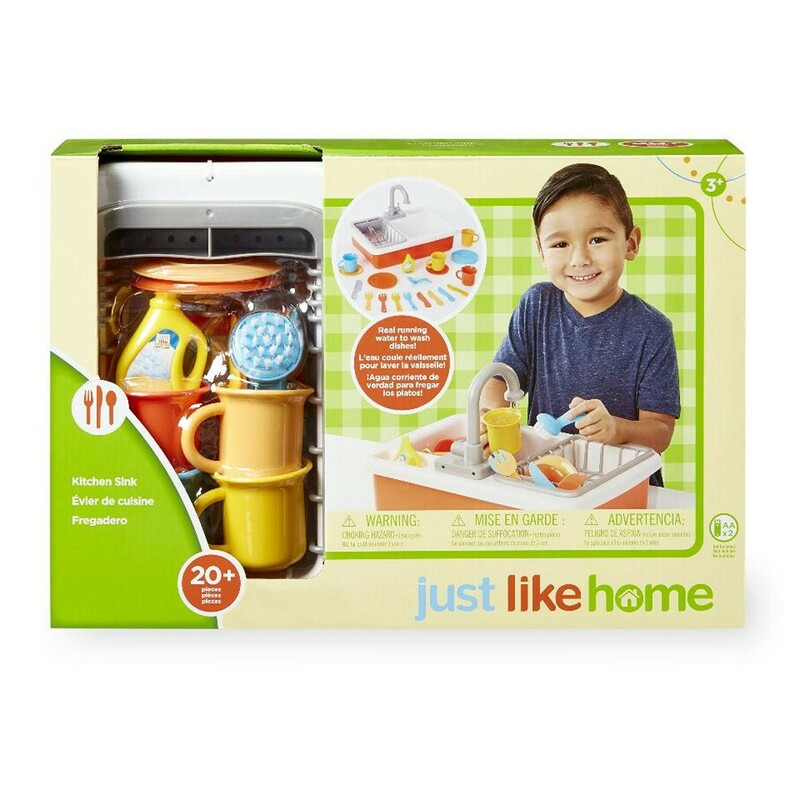 A total of 23-pieces in this cute set will inspire pretend play and give kids a sense of pride and satisfaction when the mess is all cleaned up and they did all by themselves. 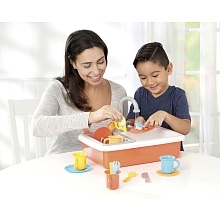 Water drains into the sink and back into the faucet for a continuous flow and no overflowing!